Though Bristol, PA is a small city located along the Delaware river, it has been established since the 1600’s and is in close proximity to Philadelphia. So whether you’ve moved to this quaint, once thriving railroad town or you’re visiting to take in the historical sites while being close to Philly, you don’t want a toothache to slow you down. 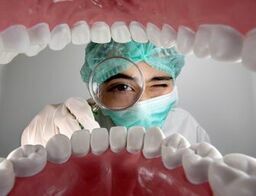 Being so close to a large city means that you will have many options of dentists to see no matter what the issue is that is causing the pain in your mouth, or if you’ve just moved to the area, it will be simple for you to find a general dentist with a schedule that will accommodate your own. Emergencydentistsusa.com has created a list of dentists in and around the city so that it’s easy for you to find one quickly when you need them without doing a lot of searching in different areas. You’ll be able to see some of the services that they offer as well as the hours that they are available by simply going to the site. If you prefer, you can also call our toll free dentist finder hotline and speak to a friendly agent that will be glad to gather the information for you. When you call our toll free number, we can also schedule your first appointment at the dentist of your choosing and give you the directions to get you there. Once your appointment has been made, make sure that you arrive at least 15 to 20 minutes prior to the scheduled time since most offices have a new patient paperwork set that they require to be filled out before being seen by a doctor. Make sure to bring with you a proper form of identification, your insurance card, any copay you may need, a list of your medications, and a list of anything you may be allergic to. If you have specific questions for the dentist, write those down as well so you don’t accidentally forget to bring them up during your appointment. With Bristol, PA being a small town, you may have to travel a little bit out of the town to get to more specialized dentists. Not that you’ll have to go far though since the center of Philadelphia is only 23 miles away. You’ll have your choice of pediatric dentists, oral surgeons, general dentists, periodontists, and more, depending on what you’re in need of. If you’re having an emergency or a severe toothache, you’ll also be able to find 24 hour on call dentists as well as walk-in clinics that don’t require an appointment. Description: Specializing in implants, dentures, and invisalign, Advanced Palmyra Dentistry wants each of their patients to have the most beautiful smile possible. With printable coupons available on their website, they also offer competitive pricing for their services. Let their friendly staff and Dr Shah give you a second option today. Description: Family owned with more than 20 years of experience, Dr. Daniels and his team can be trusted to take excellent care of your teeth. From general cleanings to implants, they will take care of all of your dental needs. Convenient hours makes it simple to fit an appointment with them into your schedule. Description: With an office that is available to patients 24 hours per day 7 days per week, you never have to worry that you’re going to suffer with a tooth pain. This office also offers non-emergency services such as general cleanings and other typical dentistry services. The team of Paul Ravin DDS take pride in making sure each patient has a bright white smile and leaves the office happy after each visit. When your mouth or tooth is hurting, you should head to the dentist immediately. If you haven’t done anything to cause an injury to your mouth, then it could be that you’ve had an infection that has been building and it has finally reached the root of the tooth or a sensitive area that will cause it to continue to hurt until it is treated. Delaying treatment when there is an infection can cause issues with the teeth and gums that are around the infected area and lead to even more serious issues. Any time you are visiting a new dentist, make sure that you are checking their certifications to ensure that they are up to date. You can typically do this when you go to their office. They will normally have them framed and on display in the waiting room. If you’d like to check before you go to your appointment, look up the dentist’s name on the Pennsylvania Dental Association website.